To honor the memory of Jamie Parsley and the values by which she lived through the support of educational endeavors, athletics and our community. 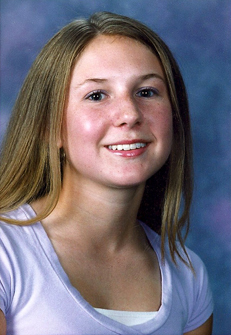 The Jamie Parsley Family Foundation honors the memory of Jamie Parsley who, at the age of 16, was killed by a drunk driver in 2002. The crash took the lives of both Jamie and her friend Cory Stauble. The Parsley and Stauble families established a joint foundation in 2004 as a way to give back to the Louisville community in honor of these young lives that were tragically lost. In 2010 the Parsleys' Family Foundation was established to focus on their interest of making college scholarships available to students specifically attending Louisville area Catholic, Private or Independent high schools. The Foundation also awards grants to local non-profit organizations. Jamie, a senior at Kentucky Country Day School, was an outstanding student, having been named National Merit Finalist after her death. She also excelled in athletics as a member of both the field hockey and softball teams for her school. She exhibited a deep respect for and love of life, and a maturity beyond her years. She is deeply missed by all who knew and loved her.